Grave : Plot I. Row I. Grave 22. 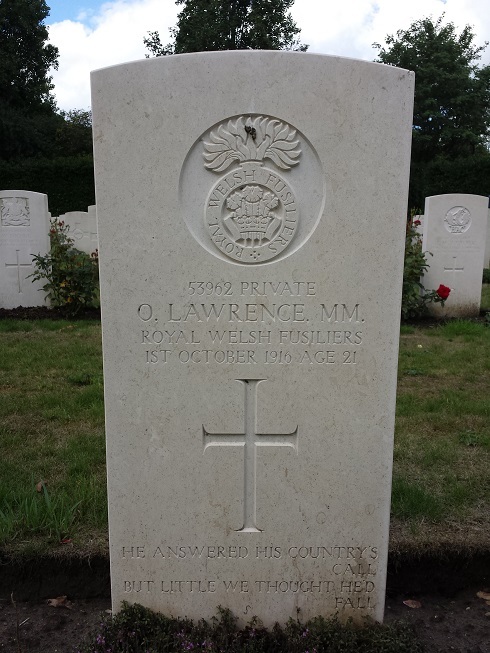 Oswold Lawrence was a son of David and Margaret Lawrence, of 34, Crown Street, Morriston, Glamorgan. He was awarded the Military Medal.